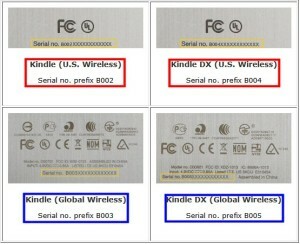 To confirm, which Kindle model you have, you can utilize the serial number of your kindle device. 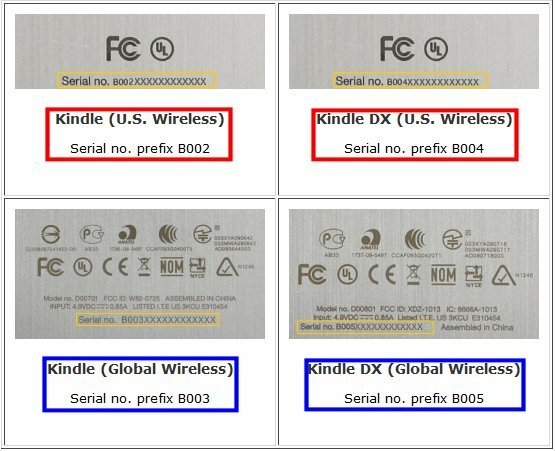 On early models (Kindle 1, Kindle 2 & DX), it was physically visible on the device itself, on the back at the bottom (on the Kindle 1. 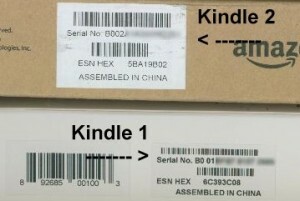 It was under the back cover), and as well on the packaging the devices were shipped in. The next couple of images interpret this.